A leather armour ensemble does not look complete without every piece. Do not forget to include the Lion Greaves when creating your warrior outfit. They come in two colors of premium leather and are decorated with embossing and metal rivets. Those rivets also secure in place a curved knee accent. At the bottom of each greave, a curved edge allows for better foot mobility. 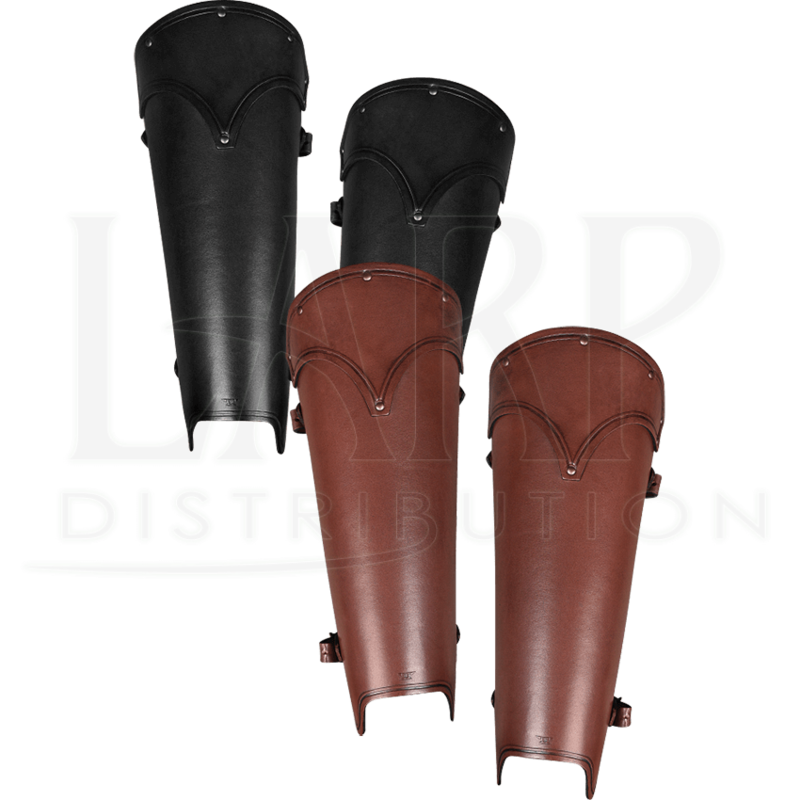 These greaves come as a set of two and are secured to the legs with straps and buckles. 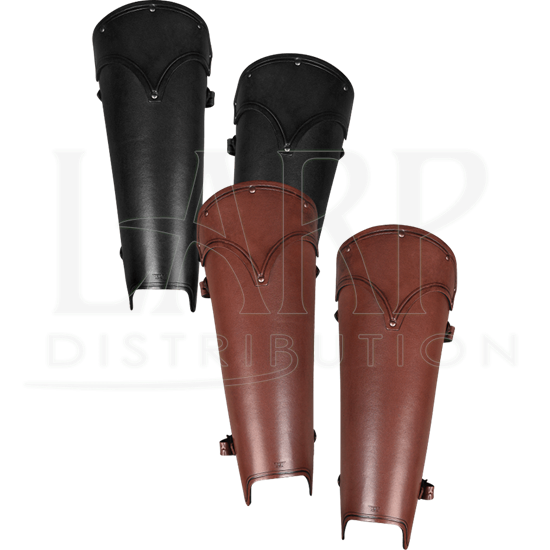 Impress everyone with your defensive armour at a fantasy convention or LARP event.